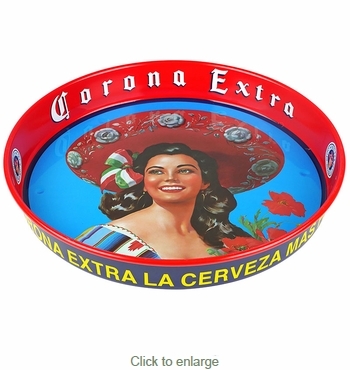 Our non-slip Corona beer trays with Victoria make a perfect gift or addition to your home cantina or patio bar. These non-slip beer trays are perfect for restaurant and bar use. These licensed barware items from Mexico's most popular beer are sure to add that south-of-the-border flair to your home bar.